A precision engineered lighting instrument, the P5E Professional AA Torch is a reliable, rugged torch offering powerful illumination and a long burn time. 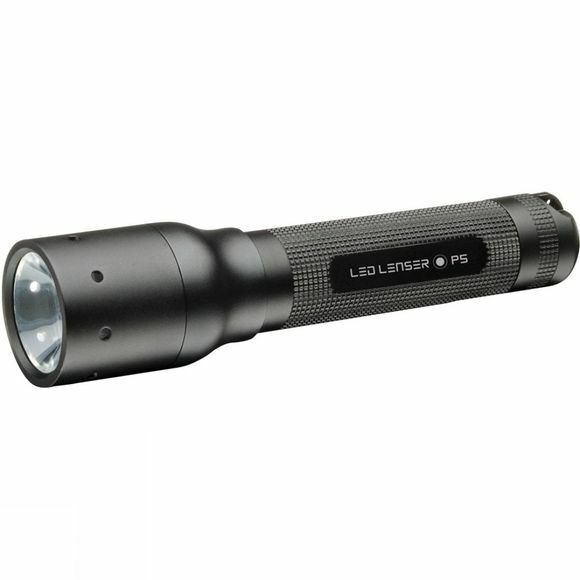 A development of LED Lenser's impressive P5 torch, the P5E ("E" for "Eco") uses a single, standard AA battery but has has a burn time nearly seven times longer than that of the standard P5. With a knurled barrel for ease of grip and 'Speed Light' stage-free focussing, the P5E delivers easy, dependable, glare free lighting whenever you need it.